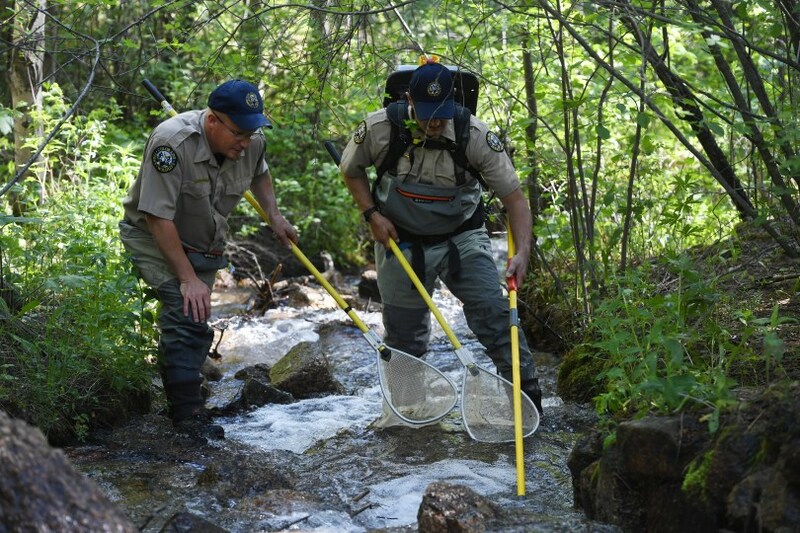 Support Greenback Cutthroat recovery in the Cache la Poudre headwaters by working with the US Forest Service, National Park Service, and Colorado Parks and Wildlife to help establish data on current fish populations in streams near the Grand Ditch. Duties: Volunteers will help collect and tag 500-1000 brook trout; Release fish at staged locations upstream and downstream of the waterfall. This project will help identify fish movement and long-term treatment needs. Volunteers can sign up for one-day slots or multiple-day slots. Due to the distance to the project site, one-day volunteers need to be willing to meet at the commute site at 6:30 am and should not expect to return to the commute site until 7:00 pm. Once at the destination, there will be additional hiking involved to get to the actual work site. Please wear appropriate shoes and clothes for wilderness hiking. Qualifications: -Must be at least 18 years old. -Must be physically able to work at 9500' elevation. Directions: Car pooling location and details to TBD. Please contact Phil Wright for more information (philwright@ieee.org). Flows have stabilized and the research project is back on! Work is slated to take place September 24-28. You can sign up by following the links above. Flow releases from Long Draw Reservoir continue to be high because of the warm and dry weather. Long Draw Reservoir is an irrigation reservoir owned by Water Storage and Supply (WSS). WSS has a responsibility to meet the needs of farmers owning water in the WSS system. We completely understand this need and are respectful of its priority. The flows are expected to remain high throughout this coming week making it next to impossible to complete the sensor array or provide a safe environment for wading the stream as part of PIT tag work. We are very appreciative of your willingness to volunteer this coming week. Currently, the week of September 24this being considered for an alternate work week. We hope you will consider volunteering during the rescheduled time. As information is finalized, we will update the VMS system and email all volunteers.